Just minutes to the beach and located in the beautiful Villa Warner community! Spacious upper-end unit with pool view. Features include a living room with fireplace and balcony, laminate flooring, ceramic tile and carpet throughout. Updated kitchen and all appliances are included, dual pane windows, recessed lighting, large master suite with a dressing area and spacious second bedroom that has been freshly painted and recently re-carpeted. Private balcony overlooks the pool and beautiful grounds area. Dog friendly community with amenities that include an association pool, spa, picnic & BBQ area, fully equipped gym, and clubhouse with ping pong and pool table. One covered carport and one reserved parking space are included along with laundry facilities just steps away. 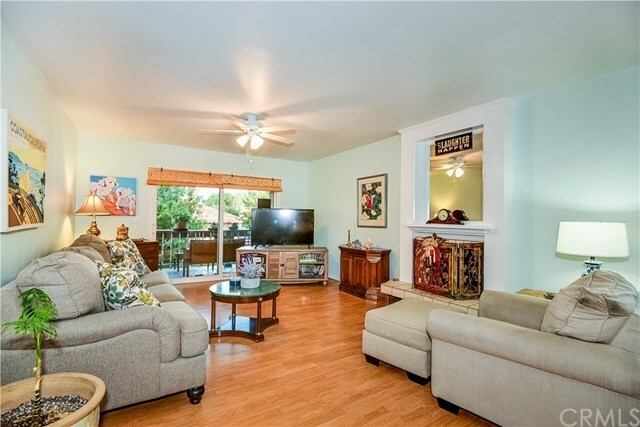 Quiet location and conveniently located near shopping, dining, freeway access, the beach and and nightlife.